It takes only 40 minutes from Tokyo to Yokohama. Yokohama is a historical city with over 150 years since its opening of the port. There are many touristic spots such as Minatomirai which has a skyscrapers where you can enjoy fantastic view, parks that commands beautiful amusement park and sea with abundant nature, Yokohama art museum, and a town where still remains the atmosphere that old Yokohama used to have when it opened the port to foreign ships for trade. In this article we will show you a good hotel “Hotel New Grand”. 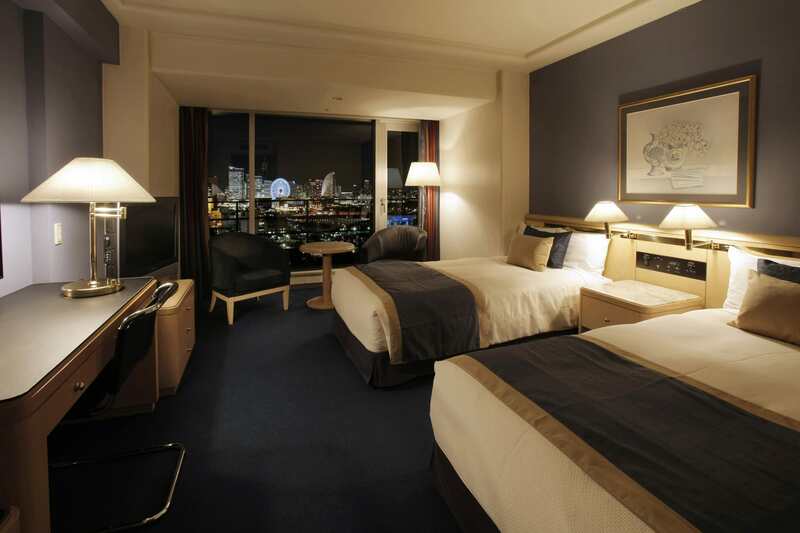 You can see information about other hotels at “6 Best Hotels to Stay in Yokohama”. Hotel New Grand is located in just across from Yamashita Park. This park is one of the landmarks of Yokohama, and it itself makes a district along with a side rode for Yokohama China Town. 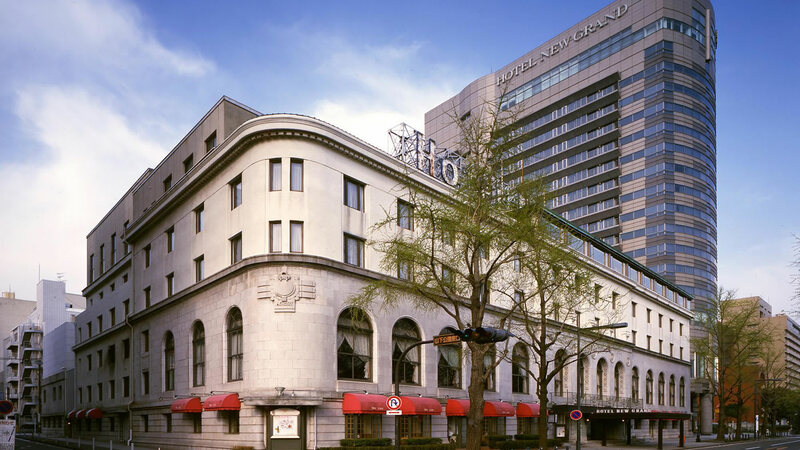 After the destruction of the Great Kanto Earthquake, the then mayor had formed “Yokohama reconstruction team” and they decided a plan “Construction of a Hotel for Foreigner”, and it was clue that led to the construction of Hotel New Grand. As a part of the plan to reconstruct Yokohama, the officials and the people united and constructed Hotel New Grand. The current main building was constructed in 1927 when the hotel was founded by an architect Jin Watanabe. The hotel is noted as a great classic hotel. The main theme of the rooms is “Europe”. They reproduced the theme with sophisticated quality. The rooms of the tower are all harbor view. From the rooms of the right side you can see Bay Bridge, and from left side you can see the big pier. You would see the esprit of Europe and Yokohama at the sophisticated interiors, the spatial atmosphere, and coloring. They have many rooms with story such as “MacArthur room” that the General MacArthur used to use as workroom, and a room where a writer Jiro Osaragi used habitually. The hotel is so comfortable and luxury. You will see what Yokohama Standard is at this hotel. Inside the hotel, there are many places to go. For example, you can get genuine French cuisine at “Panoramic Restrant Le-Normandie”, you can have a luxury time with glasses of cocktails at British bar “Bar Sea Gurdian”, and esthetic salons or select shops are also open. The parking lot accommodates up to 118 cars, where you can use for 300-yen par 30 minutes. Yokohama opened its port to foreign countries about 150 years ago, and has been developing even now. 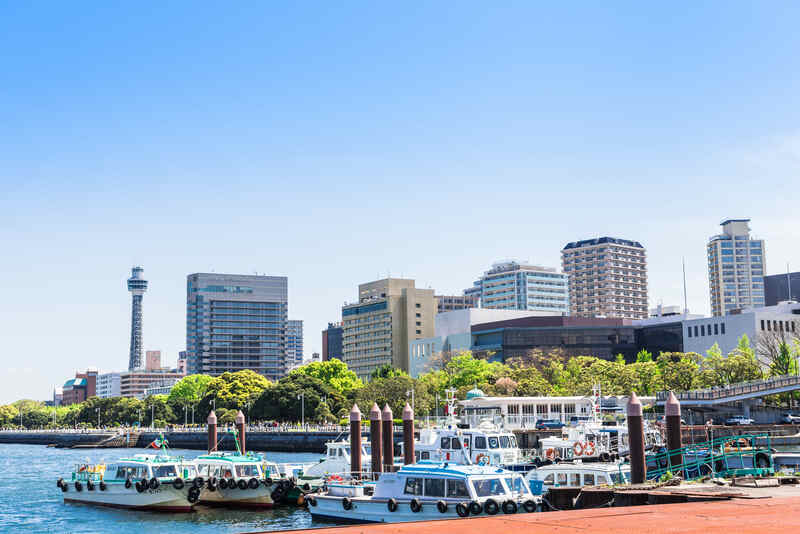 There are many developing areas such as Minatomirai area where you can see nice views from skyscrapers, Yokohama Station area where you can easily get to from Tokyo, and Ymashita Park area with beautiful nature. And also Yokohama has historical areas where you can feel the history that Yokohama had when they opened the port, such as Kannai area where historical buildings remains, Yokohama China Town area that is counted as 3 biggest China Town in Japan. You would easily get full at this area by eating delicious china food. How about visiting Yokohama to be exposed to the see breeze and walk around the city? Take Keihin-tohoku Line train and get off at “Kannnai Station”. It takes about 45-minutes. Take Keikyu-kuko Line and transfer at “Keikyu-Kamata Station” to Keikyu-honsen, and get off at “Yokohama Station”. It takes about 30-minutes. 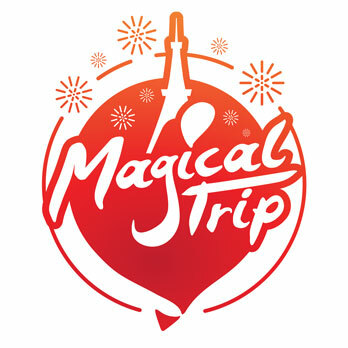 A Tour to Join in Yokohama! Let’s participate in a tour that let you take photos with Kimono on at some touristic spots of Yokohama! Enjoy sightseeing and Kimono at the same time! You can choose your favorite Kimono, and then the professional teacher helps you to wear Kimono. And the guide will introduce you to some touristic spots!